VERY GOOD CONDITION 2007 FLEETWOOD REVOLUTION LE DIESEL , 400 HP C9 CATERPILLAR , SPARTAN CHASSIS , TAG AXLE , KING SIZE BED , Allison 3000 MH , 6 Speed Automatic Transmission 42 FT. Woven acrylic window awning w/ metal casing , Outside storage on drivers side , Huge pass thru storage , Slide trays come out on both sides , Trailer Hitch , Back Up Camera , Roof in excellent shape . Seller reports all systems are operational and functioning. Newer rear tires. No evidence of leaking in the forward cab-over. Interior is very clean and well maintained. Generator fired up with no delay. Stock #170605 Pet free/Smoke free with low miles and ready to hit the open road! Are you ready? Reason for selling is no longer used. 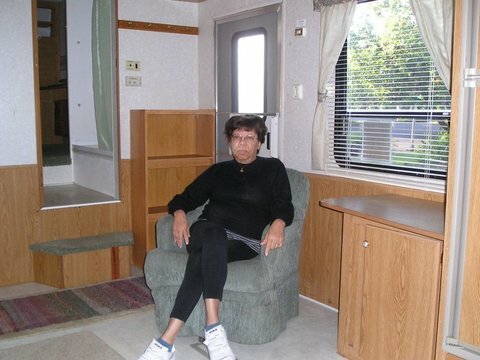 This is a two owner RV with less than 7500 miles on her and under 50 hours on the generator. Wind and sun have weathered the exterior, the driver's seat is worn and there is rock damage to the driver's windshield. Otherwise, the RV appears to have very little use. The tires are new as of 2017 and the engine was serviced and tuned up in June 2018. Stock #164196 1998 Pace Arrow with only 7000 miles.v10 Triton . Brand new tires. 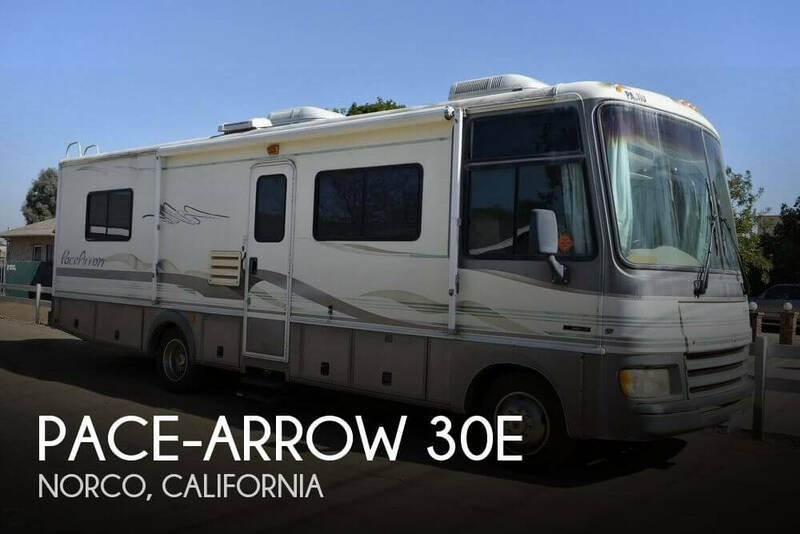 If you are in the market for a class a, look no further than this 1998 Pace-Arrow 30E, just reduced to $16,000. 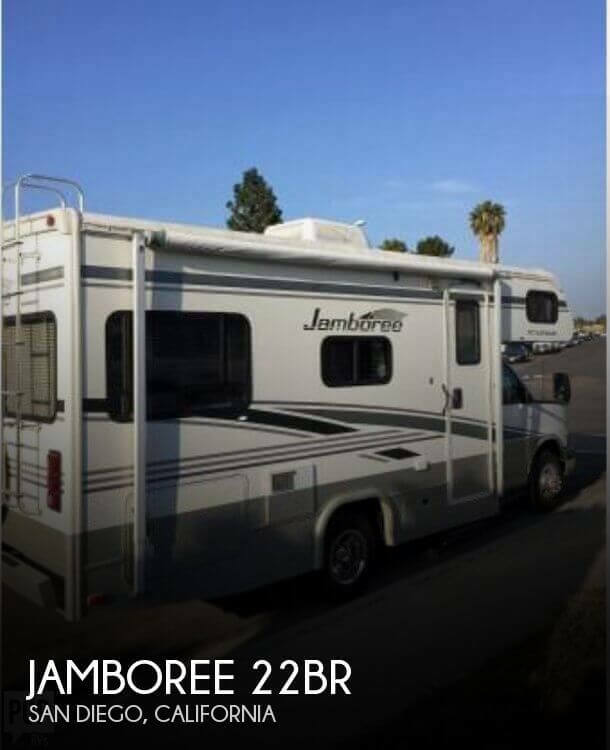 This Class A is located in Norco, California and is in good condition. She is also equipped with a Ford engine that has 7,500 miles. Overall excellent condition inside and out! Very clean inside. Some of the outside storage areas need a little cleaning. Most areas of this RV look almost new with very little wear. Even on the roof of the unit, all items look to be in great shape. Stock #148978 Looks new inside & out! Couch, loveseat and dining room table with booth seats, all leather & MUCH MORE!!! 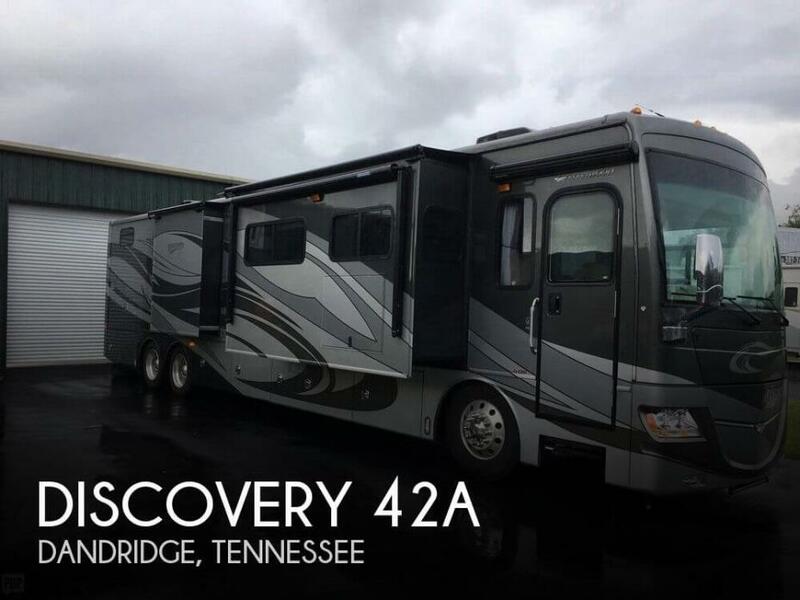 If you are in the market for a class a, look no further than this 2011 Discovery 42A, just reduced to $179,999. This Class A is located in Dandridge, Tennessee and is in good condition. She is also equipped with a Cummins engine that has 41,000 miles (as of October 23). Reason for selling is moving to hawaii. This motor coach is in good overall condition. The floor and carpet are new. The windshield and headlights are new. The driver and passenger seat has recently been professionally reupholstered. Outside you will see some minor flaking on the decal stripes, but only up close. Stock #175170 Bounder 34D, Owner Has Made Several Upgrades and it has the Ford Triton V10 with only 53k! 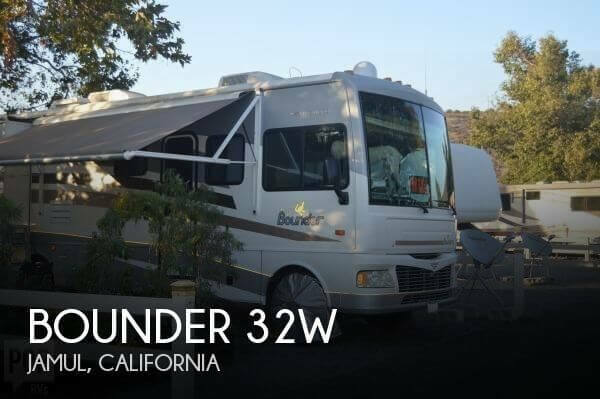 If you are in the market for a class a, look no further than this 2001 Bounder 34D, priced right at $35,600. 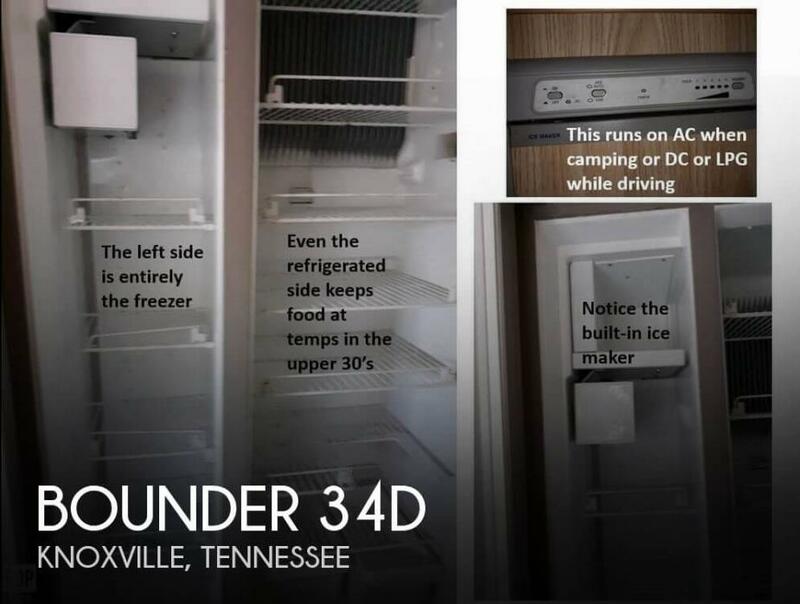 This Class A is located in Knoxville, Tennessee and is in great condition. She is also equipped with a Ford engine that has 53,000 miles. Reason for selling is not using. 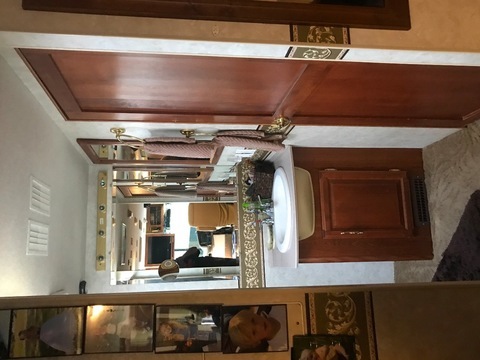 This is a really FUN RV.. Remodeled interior in 2018 ! Contemporary and quality improvements throughout. Stock #176134 >Chevy Workhorse Chassis >ONAN 5.5kw Generator with rooftop Solar Panel >ALL NEW [House + Engine] Interstate batteries (3)Remodeled interior in 2018 Reason for selling is bought to move from san diego to michigan but had to change plan.. This coach looks to be in great shape. The owner says it's been kept right and well maintained. In fact, he says this coach is ready to hit the road when you are. As always, we encourage you to send us your questions. Showing are available by appointment only. Stock #162664 Well maintained, one owner, 30,350 miles. No damage, no wrecks, no leaks, no smoking with good tires and kept in shed. 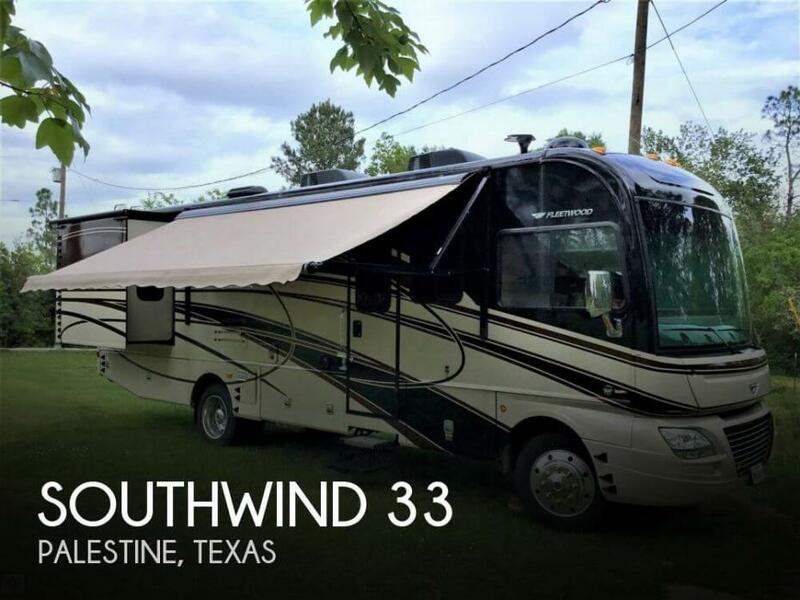 If you are in the market for a class a, look no further than this 2014 Southwind 32V, just reduced to $89,400. This Class A is located in Palestine, Texas and is in great condition. She is also equipped with a Ford engine that has 30,350 miles (as of November 9). Reason for selling is downsizing. The seller states that all mechanical systems and features are fully functional. The upholstery is clean and tear-free. The soft goods and mattresses are lightly used. The exterior is free from blemishes and the roof is nearly new. 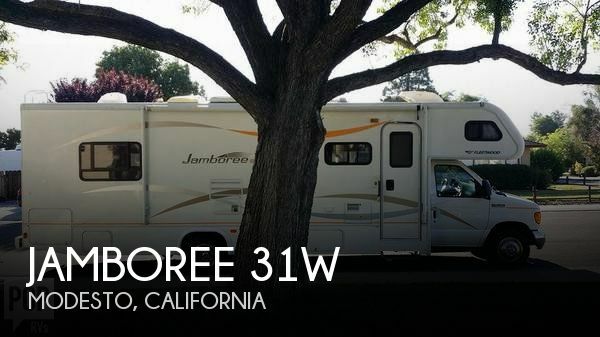 Stock #151434 2008 JAMBOREE BY FLEETWOOD TRITON V 10 GAS CLASS C RV If you are in the market for a class c, look no further than this 2008 Jamboree 31W, just reduced to $35,000. 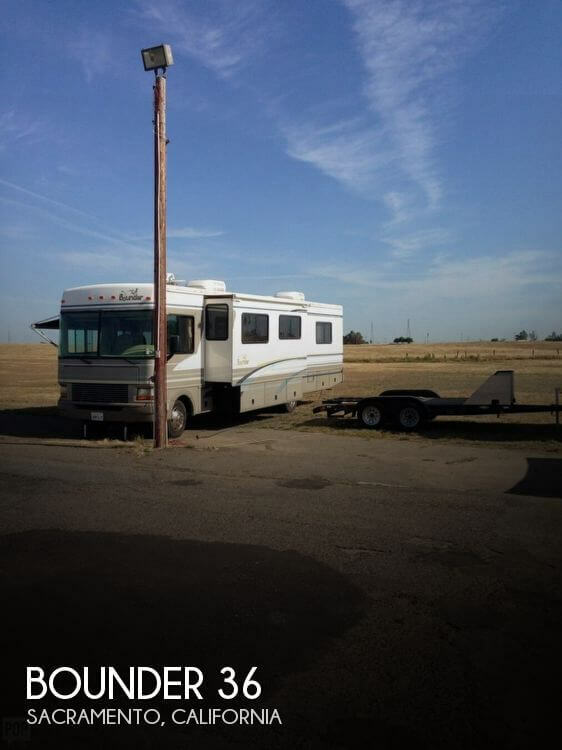 This Class C is located in Modesto, California and is in good condition. She is also equipped with a Ford engine that has 31,970 miles. Reason for selling is no longer using it..
overall this R.V is in good condition, has a little bit of clear coat peeling in the dark stripe, and the edge of right rear outside cargo door is bent just a little, inside interior is in great shape and she is mechanically sound Stock #157679 Beautiful Fleetwood Revolution 40' Cummins diesel pusher with low mileage! 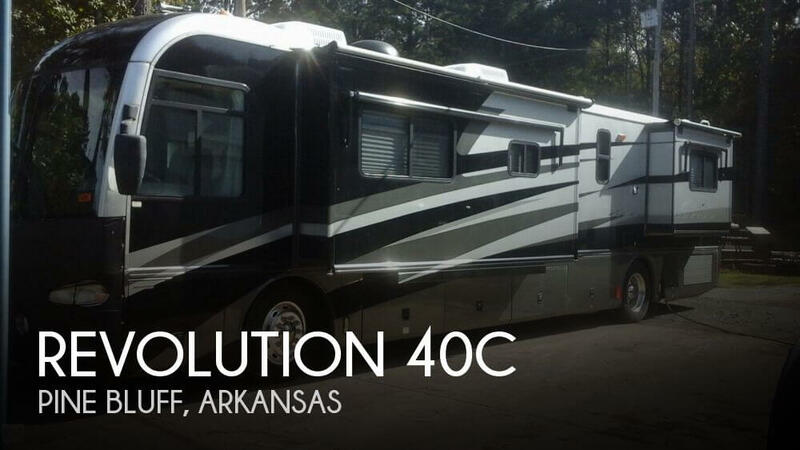 If you are in the market for a class a, look no further than this 2003 Revolution 40C, priced right at $80,000. This Class A is located in Pine Bluff, Arkansas and is in good condition. She is also equipped with a Cummins engine that has 72,000 miles (as of October 27). 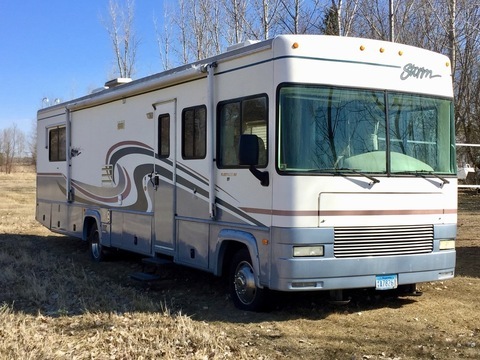 This RV is in good condition both internal and external. All systems and features are in good working order. No dents or scratches externally. The interior has been well taken care of by the current and previous owner. Stock #168519 FULLY SELF CONTAINED ---dual a/c, pwr entry step, pwr awning, ONE SLIDEOUT, 2 way reefer, dinette, recliner chair, 3 burner stove with oven & MORE!!! 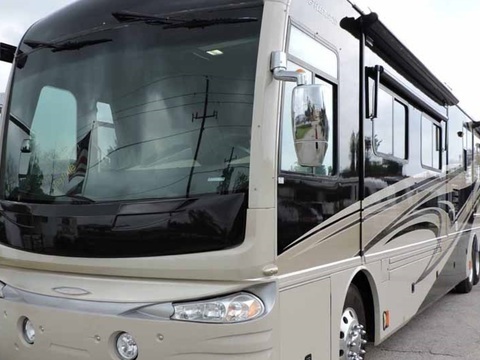 If you are in the market for a class c, look no further than this 2014 Tioga Montara M-25K E450, just reduced to $33,499. 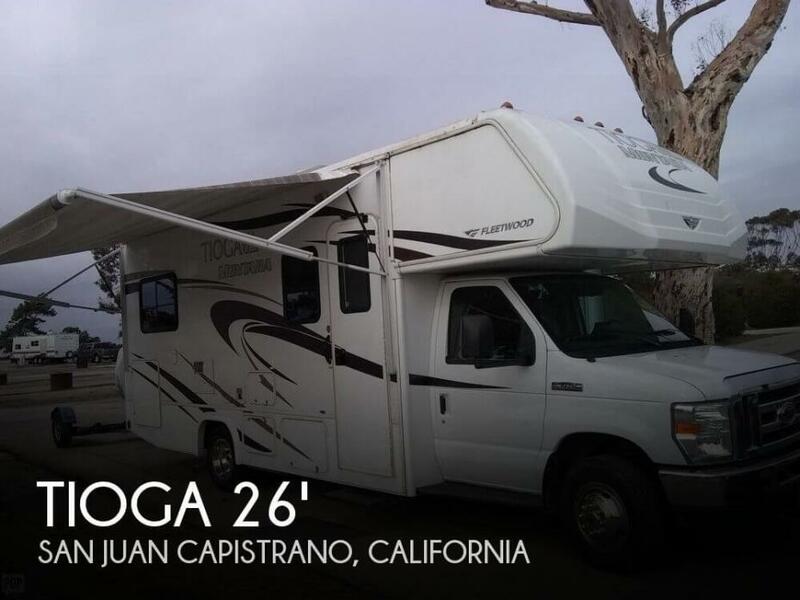 This Class C is located in San Juan Capistrano, California and is in great condition. She is also equipped with a Ford engine that has 78,000 miles. 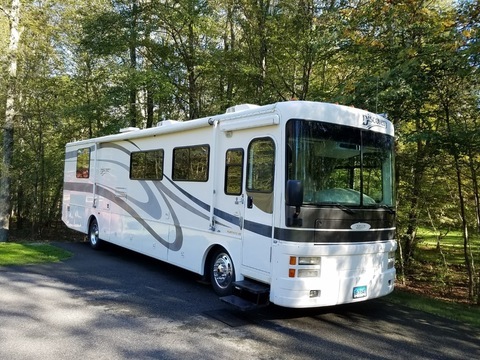 Reason for selling is transitioning to newly purchased rv..
Stock #166581 Travel around the country in this 36 ft motorhome Ford V-10 Triton engine If you are in the market for a class a, look no further than this 2000 Bounder 36, priced right at $24,500. This Class A is located in Sacramento, California and is in good condition. She is also equipped with a Ford engine that has 24,000 miles.